It’s all about the soul of snowboarding. Making turns. The SOUL will take you where the joy of carving lives. It is a real carving toy for softboot riders. Easy carving. High performance carving. Just carving. When you feel the edge, the speed and the wind in your face. Come and feel the soul of snowboarding. A short feedback for the SG Soul 59XT. Thank you for making this board concept happen! It is a new kind of freedom not worrying about the bootout problem with softboots! And despite this fact, the board doesn’t feel sluggish at all. If you are actively transferring from edge to edge – which is more fun anyway – you can hardly feel the width at all! Most brands build their wider boards automatically also longer. There is no real reason for it. The 159 is perfect for my riding style! The board stays playful – it is super easy to rotate it to switch riding or pop it into the air, yet it is still powerful on the edge! The Soul is so much fun on and off the slope and such a versatile shape! Awesome concept!!! I am very pleased to report to you that I am very happy with my Soul 159. I have had a chance to ride it in conditions ranging from hard pack to deep fresh powder. Great feel and edge hold on hard carves and effortless float in the deep stuff. Changing the stance settings according to conditions, I have bee rewarded with the all mountain board I have been looking for. Thank you for your assistance and suggestion to make the right choice for me. 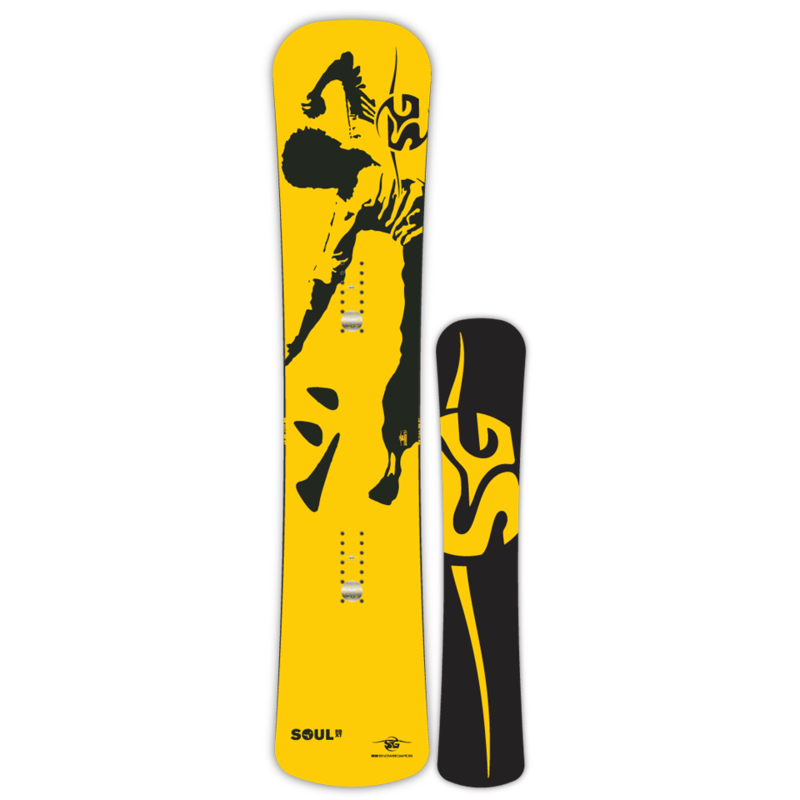 I look forward to the rest of my season on it and buying another SG snowboard next year. Sorry I forgot to email you yesterday but I received the board yesterday and took it for its first ride this morning at my local indoor snow slope. All I can say is I’m blown away by the board it rides like and I was able to successfully do heel euro carves for first time ever in the 2 years I’ve been attempting them. I can’t wait to try it out on a real slope on a mountain.